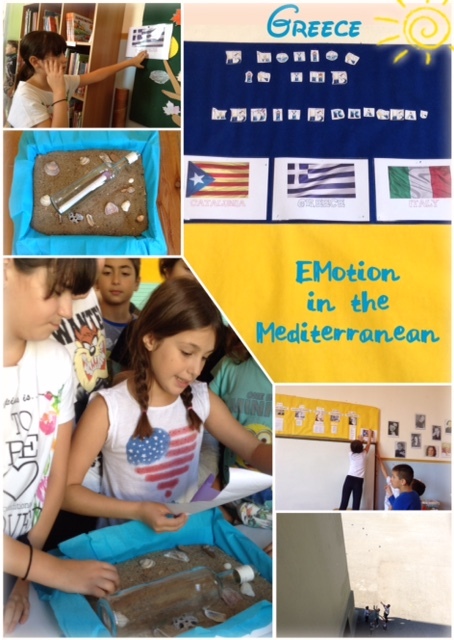 MEDITERRANEAN, A SEA OF EMOTIONS The goal is to create a stopmotion film. Emotions and feelings will appear while discovering some countries of the Mediterranean sceneries. Students to get in contact with other partners and share their worries and hopes about the real life in the Mediterranean in the XXI Century. To be able to imagine their future in the Mediterranean area.